This comforter is adorable! I purchased for my 5 year old granddaughter for Christmas as she is obsessed with everything JoJo, she was ELATED! The quality is just ok, but to see her face when she opened it was priceless! Transform any child's bedroom with a bold and colorful Nickelodeon Jojo Siwa Reversible Twin Comforter. Sure to keep you warm, this reversible comforter is stuffed with polyester fill for loft and cozy comfort. Quilt stitching holds fill in place and denim look adds decorative flair. Durable polyester fill is soft, comfy and warm and holds its shape after multiple washings. Reversible design allows you to instantly change the look by simply flipping the comforter over. 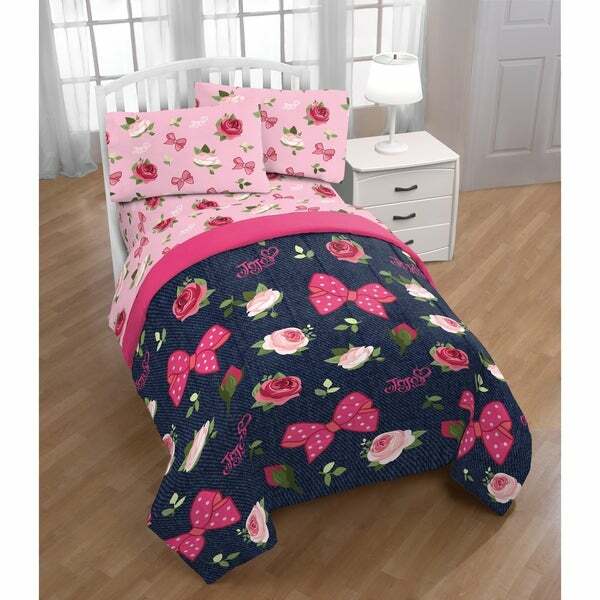 Twin comforter measures 64" x 86". Additional bedding coordinates and accessories sold separately. Easy care, machine washable.